It can hard to pick the right piece of art for your wall. Every space is unique and may require special considerations. Quality art is not cheap and can be a large and lasting purchasing decision. You need to be sure before making such a large purchase. Wouldn’t it be nice if you could see some of your choices on your wall before you spend the money to buy them? Now you can! To help with your art decision making we now offer a custom design service with one hour of free no obligation design. You provide us with a photo of the space you are considering adding the art. Such as your living room wall or above your fireplace. Tell us the size of the space available. You may also mention sizes art you are considering or let us size the art to best fill the space. For example if you are considering adding art to a wall in your living room above your sofa. You provide a photo of the wall in your living room. This should include furniture that is next to or against the wall such as a sofa, chairs, table, etc. It is best to have the photo be from floor to ceiling if possible. Let us know the measurement of the open wall space you are considering such as above the sofa. The more detail you can provide the better we can fit specific art to the space. You may also let us know of any color schemes or themes you have in mind. Such as the season, sunrise / sunsets, something that includes water etc. You may also include a list of any images from this website that you are considering. Along with these and any additional details you would like to provide we will overlay the art on your photo and provide these sample images for you to look at. We will email all samples back to you. 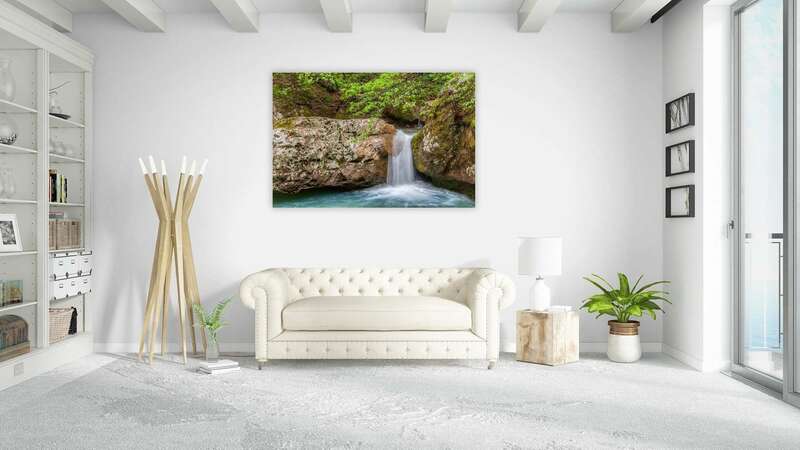 This will give you a very realistic feel of how the art will look in your space. The first hour of this service is absolutely free with no obligation. This normally is all that it takes to get a good sense of what will work on your wall. If additional time beyond the first hour is needed we offer extended design service billed at $10 each per additional work up. You will never be billed before we are sure this is what you request. The choice is completely up to you. So relax and let us help take the worry out of choosing the perfect piece of art for your home. We have set up a special contact form page with complete instructions for this service to help provide the information needed. Just click the button below and get started.